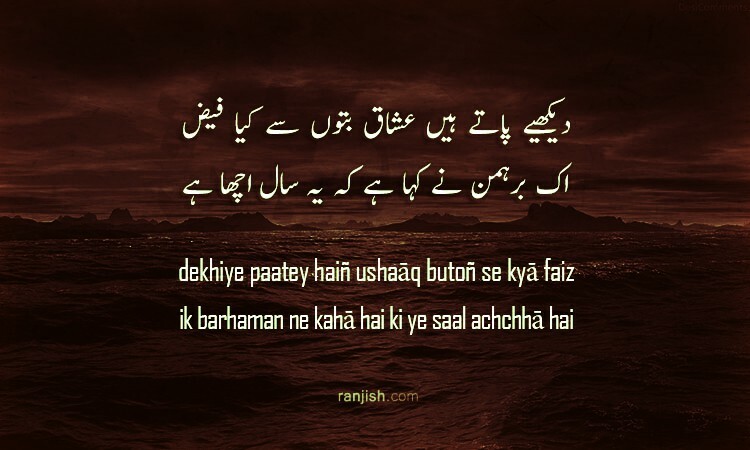 Ranjish.com has lots of Urdu Mirza Ghalib Poetry. Feel free to add your own Mirza Ghalib Shayari here. 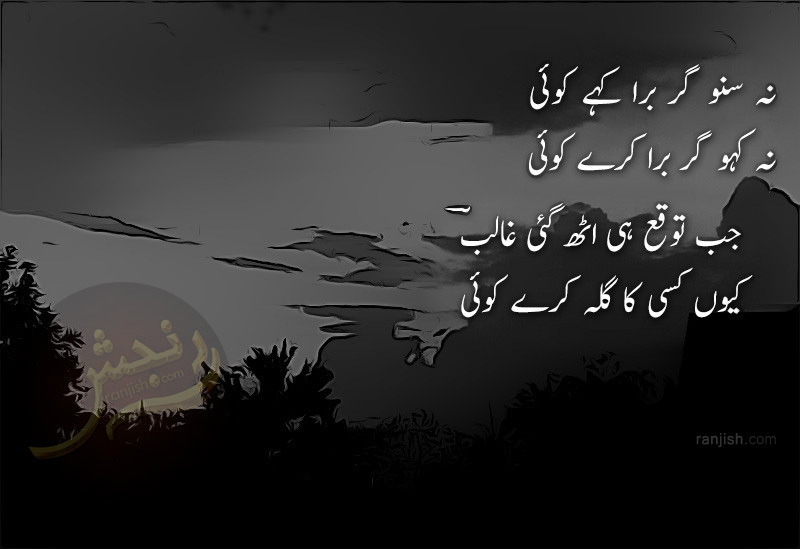 Mirza Galib Poetry is loved by urdu poetry lovers around the world. 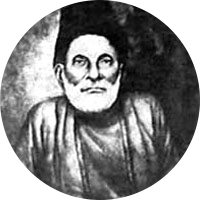 Mirza Ghalib is one of the most popular poets from Delhi. 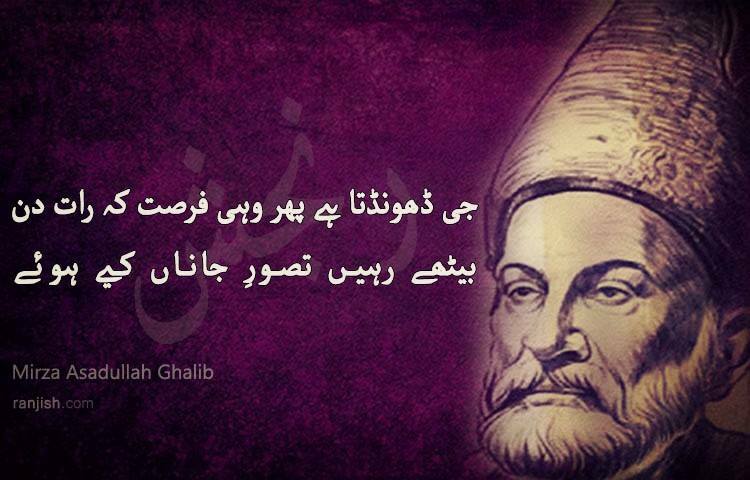 Galib’s primary topic was romance, love and sadness. His real name was Mirza Asadullah Beg Khan. 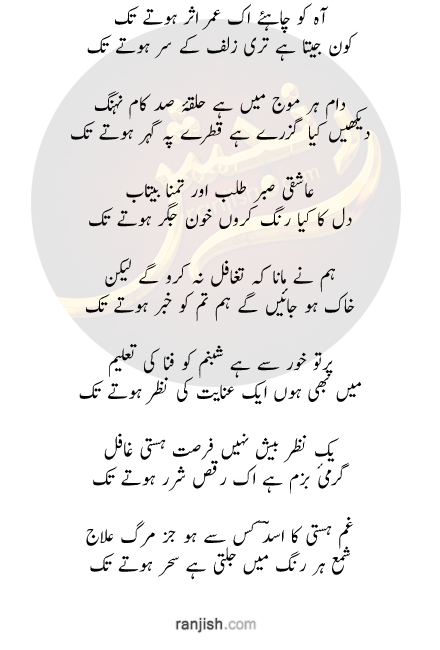 We have got lots of Galib Shayari collection for our users. 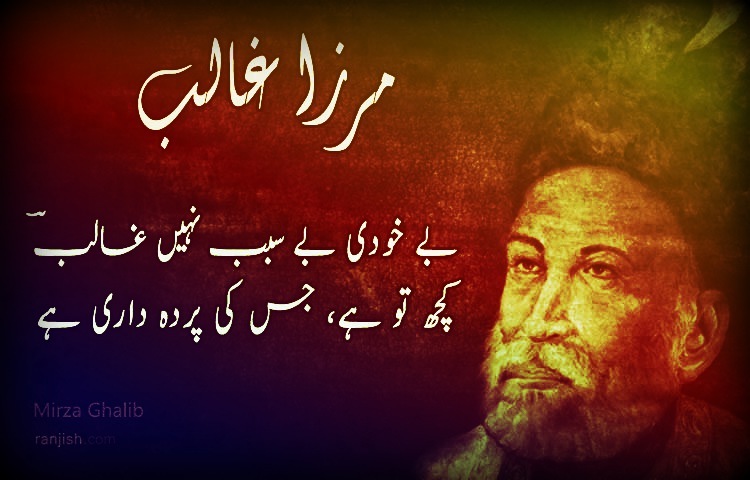 Ghalib was born in 1797. 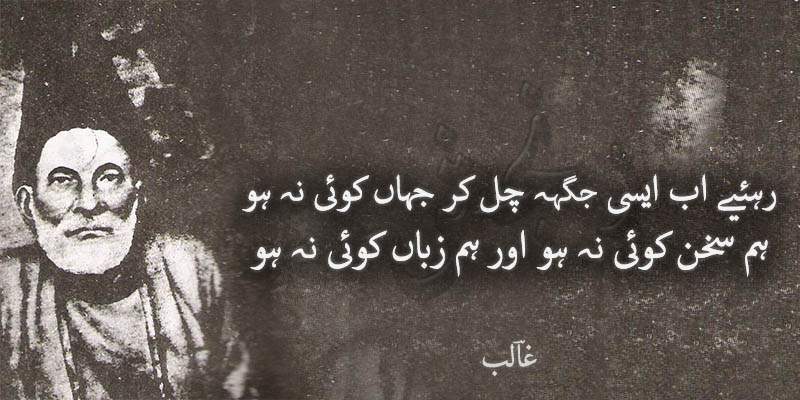 He was undoubtedly the most popular urdu poet the world has ever seen. He has written poetry on almost all the situations of life and love. 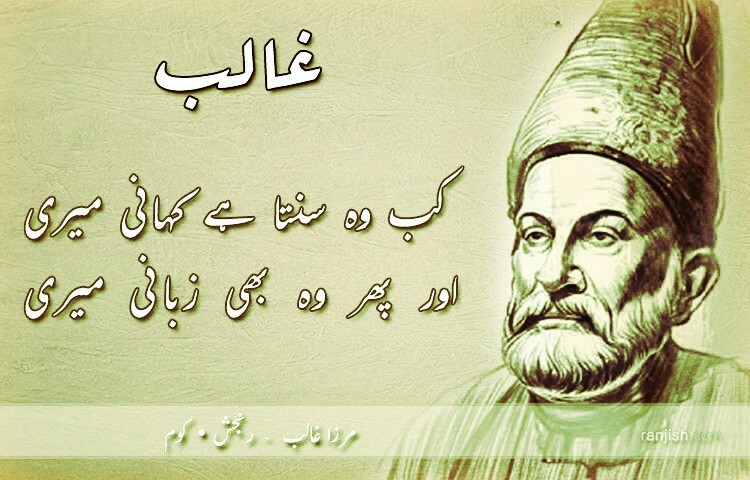 At Ranjish.com, you can get lots of Ghalib Poetry to read and enjoy. Hai kuch aesi hi baat ke chup hoon..
Warna kya baat kar nahin aati..
Bana kar faqeeron ka hum bhaiss..
Jee dhoondta hai phir wohi fursat ke raat din..
Bethe rahen tasawwar-e-jaanan kiye huye..
Kab woh sunta hai kahani meri..
Aur phir woh bhi zubaani meri..
Phir kuch ik dil ko be-qaraari hai..
Kuch to hai jis ki pardaa-dari hai..
Muft haath aaye to buraa kya hai..
We update our poetry database on daily basis so keep coming back for more Mirza Ghalib.